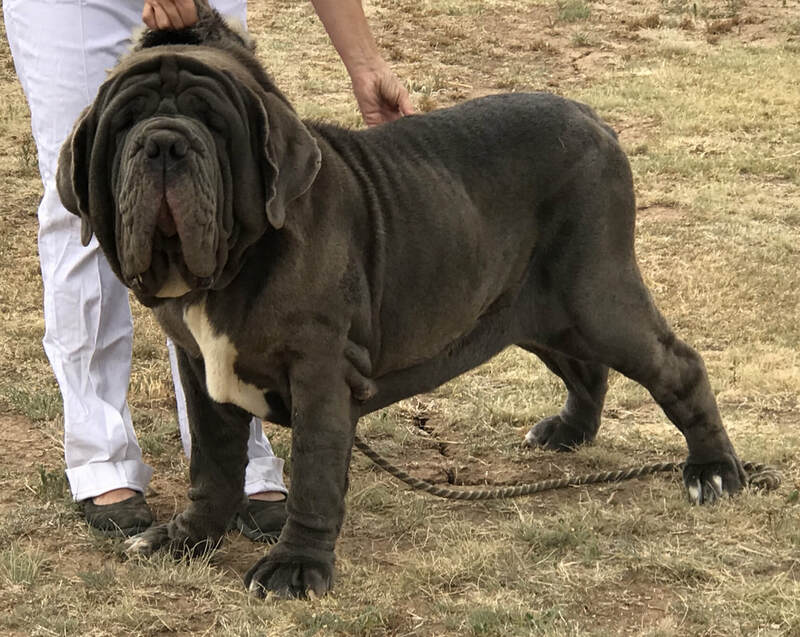 Mastini Della Forte breeds male and female Neapolitan Mastiff puppies for sale in Canyon, Texas, with many different colors and sound temperaments. Our Neapolitan Mastiffs carry champion genes so they begin their lives with the best start possible. They are strong and healthy with beautiful colorings, patterns, and, most importantly, wonderful personalities. From day one, Neapolitan Mastiffs are adoring, playful and easy to love. Their striking skin folds give them goofy expressions when they are puppies, and they grow up into intimidating guard dogs. Neapolitans are loyal to their families and begin forming attachments right away. We start socializing our puppies with other people and animals at a young age so they grow up friendly and loving. Our puppies love to be challenged, and we start growing their adventurous spirit and clever minds as soon as they are ready. Take a look at our puppies and learn more about the parents to get more information on their breeding. Contact us and we will help you find the perfect puppy.